Feeder of sheets for coating and printing machine or other machines. The lift maintains the height of the pile to 0 speed. Electronic control of the suckers and blowers with the possibility to modify the working range from the HMI. Wheel to centering the pile in the lift. 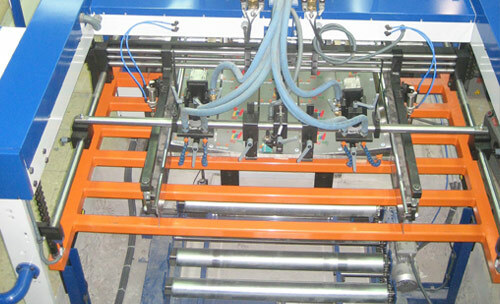 Automatic adjustment of the double sheet control. Electronic synchronization with the next machine. Adjustments, information and alarms from the HMI.